add my name to those who feel indebted! i saw those \’visit rock city!\’ signs all my life; guess my folks never took me but am glad to know that at some point nearly 100 years ago, my grandparents most certainly were there. thanks and thanks again! You are so very welcome, Deb. Thank YOU for taking the time to leave a comment. Not a lot of people do that any more, and it’s nice to know that the stories I write are appreciated. I too was finally able to identify the location of the rocks my grandfather and his friend were sitting on top of in a 1920s photo thanks to you and the internet. Much appreciated. That is really incredible SR – thanks so much for letting me know! 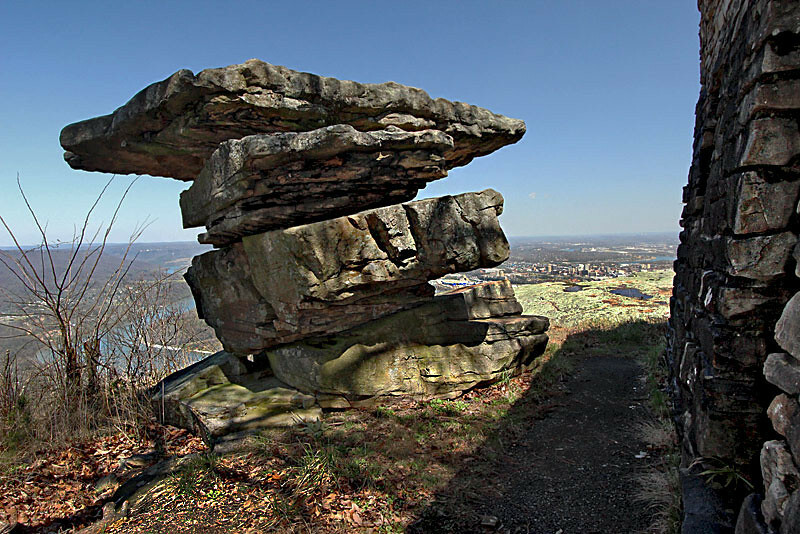 You should “SEE ROCK CITY” for yourself! Finally, I am able to identify the balanced rock in a photograph of one of my ancestors and two boys. The site of the rocks has been an unanswered question in my family for years. Thank you. Hi June – that’s incredible! Thanks so much for sharing.